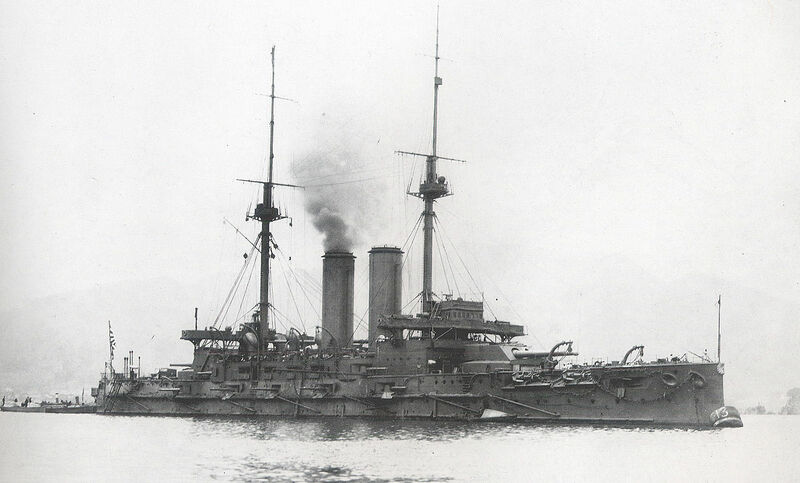 The Russo-Japanese War saw the Imperial Russian Navy soundly beaten by the Imperial Japanese Navy. While much of the analysis on the Russo-Japanese War focuses on the Battle of Tsushima and the success of the Japanese Admiral Tōgō Heihachirō, one can also look to understand the deficiencies present in the Imperial Russian Navy that contributed to this defeat. The causes for this shocking defeat can be compared with the challenges of the Russian Empire as a whole. Russian naval culture, like that of its civilian society, had been built on an outdated system of social class, with nobles (particularly nobles with partial German ancestry) rising as officers, while talented sailors languished in the conscripted ranks. Just as the Tsar’s attempts at reforming Russian society failed to fully solve the deep-seated cultural problems of the Empire, and prevent the 1905 Revolution, Russian attempts at naval reform through the 1885 naval qualifications statute would also fail creating a new class of risk-averse and bureaucratic officers. The initial naval battle outside Port Arthur, and the ultimate defeat of the Port Arthur squadron in the Battle of the Yellow Sea, reflect these failings. Of all the weaknesses which the Imperial Russian Navy suffered from during the Russo-Japanese War, none were so glaring as the failings of the officer corps. These officers were generally more concerned with their own advancement rather than success in battle. Tellingly, they suffered from over-bureaucratization and a failure to encourage initiative among their ranks. From the onset of the war, this failing reared its ugly head. The Commander of the Russian Pacific Squadron, Vice-Admiral Oscar Victorovich Stark, had recognized the dangers posed by Japan in light of the deteriorating diplomatic situation. 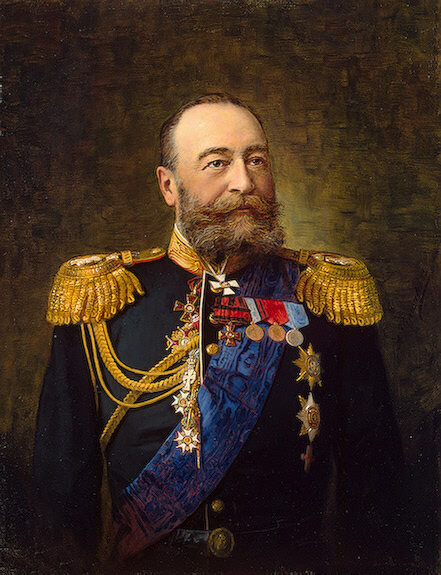 He had repeatedly requested Admiral Yevgeni Ivanovich Alekseyev, Commander in Chief of Imperial Forces in Port Arthur and Manchuria, as well as Viceroy of the Imperial Russian Far East, “to permit him to prepare the fleet for war.”12 However, Alekseyev dismissed Stark’s fears on the grounds that they were “premature and escalatory.”13 Admiral Alekseyev did not see much of a threat from the Japanese, and a report from Vice-Admiral Wilhelm Withöft (a Russian-German noble) argued that the Russian “plan of operations should be based on the assumption that it is impossible for our fleet to be beaten.”14 Regardless, Vice-Admiral Stark did attempt to work around these restrictions, ordering his crews to put out torpedo nets and prepare for a Japanese surprise attack. However, he could not appear to undercut the noble Withöft or Alekseyev (who was a son of the Tsar), and in the end, “so low-key was the instruction in relation to the Supreme Commander’s known views that…nothing was done.”15 Captains and crews did not wish to contradict Admiral Alekseyev, regardless of the orders from the local commander, and few took any precautions. There is a common misperception of soldiers and sailors as mindless automatons, following orders like pieces on a chess board. In this image, there is little wrong with the decision of the officers of the Pacific Squadron to yield to the will of Alekseyev and not that of Vice Admiral Stark. However, by the time the Russo-Japanese War began, this model was already outdated, and had largely been replaced with the relatively new concept of auftragstaktik (commonly translated as mission command in English).16 Mission command requires junior officers to “use their own initiative” and adapt to their own circumstances in order to achieve a mission defined by “a superior commander’s concept of operations.”17 Mission command is ultimately a superior model because it recognizes that those on the frontlines often have the best perception of their own situation, and that communication in war is susceptible to interruption, confusion, and misunderstanding (the fog of war). Allowing local commanders to maneuver as best suits them will allow them to minimize their casualties and complete their objectives more rapidly, while avoiding wasted opportunities or fatal miscommunications. In this context, as the local commander, Vice-Admiral Stark had a much clearer view of the threat posed by Japan, while Alekseyev, concerned with Russian objectives across all of Asia, did not. Admiral Alekseyev’s failure to defer to the local awareness of Vice Admiral Stark reflects Russia’s failure to adapt to modern military thought. Admiral Alekseyev deserves special attention in considering the failures of the Russian officer corps. Directly beneath him in the chain of command were Vice-Admiral Makarov (after his replacement of Vice-Admiral Stark) and General Kuropatkin. It should be recognized that these two figures were viewed as “the two best officers for their respective posts.”18 Makarov in particular was “Russia’s most competent admiral” and “was certainly Tōgō’s equal.”19 Despite this, Russia’s cultural deference to the nobility left Makarov and Kuropatkin “under Alekseyev, whose ego far outstripped his energy and competence.”20 Stark, Makarov, and ultimately, Withöft all found themselves hamstrung by their superiors, while the Japanese left Admiral Tōgō Heihachirō free to operate as he saw fit. This was a critical difference, and it played a major role in Russia’s ultimate defeat. The loss of these ships, although temporary, would prove critical. Over the next several months, the Japanese enjoyed total control of the seas, while the Russian Navy could only attempt to rebuild its capabilities. This allowed the Japanese a free hand to land vast numbers of troops in Manchuria, forcing the hand of the Russian Navy, and creating the circumstances for Japan’s ultimate victory. As Japanese ground forces fought their way closer to Port Arthur, they began raining artillery down on the Pacific Squadron, which for the last six months had failed to even attempt to contest control of seas.24 Petrified as they were of failure, the death of Admiral Makarov in the entrance to the harbor as his ship hit a mine, paralyzed all ensuing Russian officers. 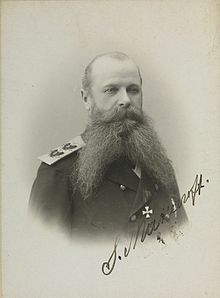 In August 1904, as the land battle continued to rage, Viceroy Alekseyev demanded that the most recently appointed commander of the Pacific Squadron, Rear-Admiral Wilhelm Withöft, take the remainder of the Russian Pacific Squadron to Vladivostok. Withöft stalled as long as he could, but before long he “received orders of a more peremptory tone from both the Viceroy and the Tsar.”25 Despite the urging of his superior, Withöft held several councils of war, and together he and his captains agreed that their position dictated they stay in port. Alekseyev ignored Withöft and repeated that this decision was not only in contradiction to his orders, but was also against the wishes of the Tsar.26 Finally, after yet more protests from Withöft, Alekseyev informed the Vice-Admiral that “if the Port Arthur squadron failed to put to sea despite his and the Tsar’s wishes, and was destroyed in Port Arthur, it would be a shameful dishonor.” Furthermore, Alekseyev reminded Withöft of the example of “the cruiser Varyag” which had “put to sea fearlessly to fight a superior force.”27 Of course, Alekseyev did not mention the fate of the Varyag, though Withöft doubtless knew it had been demolished by heavy Japanese fire and had been scuttled at great cost to its crew. For the next five hours, the two fleets would shell each other from long range. For most of the battle, the Russians gave as good as they got, scoring powerful hits on the leading Japanese ships, Mikasa, Shikishima, and Asahi. As Mikasa took a number of hits, she, and the Japanese line, began to slow. Tōgō soon found himself trailing behind the Russian fleet. “He had been out-maneuvered” and Vice-Admiral Withöft “had secured the best position possible.”36 Then, as it so often does, pure chance completely changed the course of the battle. At 5:45 PM, a pair of Japanese 12-inch shells slammed into the bridge of the Russian flagship Tsarevitch, killing Admiral Withöft and all of his staff, and jamming the wheel of Tsarevitch hard over, forcing the Russian flagship into a dramatic circle.37 It was at this point in the battle that the failings of the Russian officer corps became manifest. 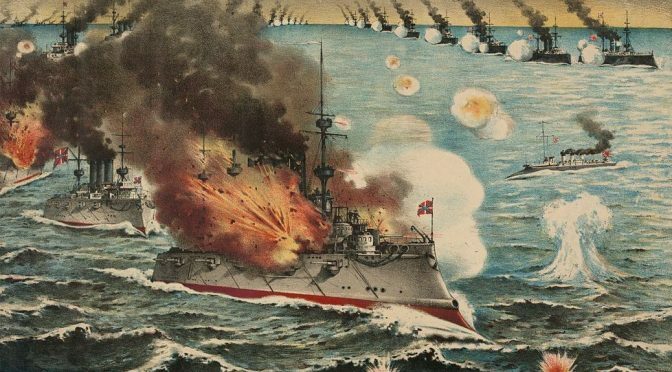 Contemporary accounts and modern historians agree that “the effort of the Russian ships to fight their way through the Japanese would probably have been successful…had it not been for the disaster to the battleship Tsarevich.”38 Without Withöft, chaos reigned in the Russian fleet. Withöft’s replacement as commander of the squadron was Prince Pavel Petrovich Ukhtomsky. Ukhtomsky’s immediate problem was that his signals mast and lines were shot away, forcing him to signal from the bridge, where only the ships nearest him could see them. However, this was probably the least of the Prince’s problems. As he signaled “follow me” to his ships, Prince Ukhtomsky turned back toward Port Arthur – a somewhat ironic decision given that he had been one of the officers pushing Vice Admiral Withöft to attempt a breakout to Vladivostok in the first place. While the majority of the Russian ships did return to Port Arthur, the Russian mission was a dramatic failure. Although it had lost only one battleship (Tsarevich was forced to shelter in a German port where she was interned), the Port Arthur squadron was so damaged that it would never put to sea again. Russian ground troops were disgusted by this failure, and according to a Russian correspondent, “there was nothing but abuse and curses for the naval officers, from the highest to the lowest.”42 Prince Ukhtomsky’s decision to turn around and return to Port Arthur was an enormous blunder. In so doing, he trapped himself and the squadron in the port, where they would be shelled and sunk, eliminating any value they could have offered to Admiral Rozhestvensky and the Baltic fleet. While he may have feared the loss of most of his ships, “even one battleship at Vladivostok would have been a serious embarrassment for Tōgō when he faced the oncoming Baltic squadron.”43 Instead, Ukhtomsky’s decision removed the Port Arthur squadron entirely from the playing field. This was an immense strategic victory for Japan, who could now use their artillery to sink the Russian ships, while allowing Tōgō and the Navy to prepare for the upcoming battle with the Baltic Squadron. The Battle of Tsushima was decided well before the Russian and Japanese Fleets met. Admiral Rozhestvensky’s words on the expedition indicate his feelings on the prospects of the mission: “We are doing now what needs to be done still, defending the honor of the flag. It was at a previous stage that another course ought to have been taken….Sacrifice the fleet if need be, but at the same time deliver a fatal blow to Japanese naval power.”44 These words, so drenched in the presumption of defeat and complete fatalism, rival those of Admiral Villeneuve on the eve of Trafalgar as some of the least inspiring in naval history. Rozhestvensky was right of course, he had little hope of defeating the Japanese. His fleet was comprised of untrained officers and crews on brand-new ships, which were as yet untested. He had to sail across the globe, hardly stopping for shore, and having to deal with embarrassments such as the Dogger Bank incident, when his untested and nervous crews mistook British fishing trawlers for Japanese torpedo boats, and began pouring fire into them. This incident caused a great deal of enmity towards Russia, causing the Royal Navy to shadow Rozhestvensky for much of his journey, and a number of other nations to deny him access to their port facilities for resupply. When the time for battle finally came, the Russians were disorganized and unprepared. Untested in battle, their fire was “indifferent and ineffective.”45 The exhausted and overwhelmed Rozhestvensky was badly wounded and could only watch as the Japanese picked his fleet apart. However, Russia’s naval failures in the Russo-Japanese War cannot be laid entirely on his account. Had the Tsar been able to consolidate his squadrons before giving battle to the Japanese, the outcome of the war would likely have been vastly different. However, without any fleet-wide strategic or operational planning, the Imperial Navy was left disjointed and dispersed, while the Japanese could concentrate their forces in their home waters. What little planning there was took place on a localized level, and was hampered by feckless, disinterested officers, parochial interests, corruption, and nepotism, wasting Russia’s quantitative advantages. However, perhaps the decisive factor in the Russo-Japanese War was the bureaucratic and indecisive nature of the officers in the Russian Navy. Rather than encourage initiative and free their captains to adapt to the circumstances at hand, Russian naval culture rewarded paper pushers and officers whose crews spent more time cleaning their guns than firing them. Worse still, a gerontocratic Russian state meant that modern techniques and technologies were ignored in favor of the outdated practices of noble officers, who had little interest or ability in naval warfare. Russian officers were thus hesitant in the moments of crisis, incapable of decisive action. Meanwhile, their crews, filled with conscripts and trained for inspections rather than combat, were entirely outmatched by the remarkably professional and extremely well-motivated Imperial Japanese Navy. Japanese victory in the Russo-Japanese War was undoubtedly the result of Japanese superiority in a number of critical areas. However, the most telling asymmetry between Japan and Russia in the war was the disparity between their leadership, laid bare in the heat of battle. Aidan Clarke is an undergraduate student at Furman University, double majoring in History and Politics and International Affairs, with an interest in naval affairs. He has previously researched the U.S.-Soviet naval showdown during the Yom Kippur War, and is currently conducting a research project on the Russo-Japanese War. 1. Nicholas Papastratigakis, Russian Imperialism and Naval Power, Military Strategy and the Build-up to the Russo-Japanese War, 2011, (New York: I.B. Tauris & Co. Ltd), 45. 3. Ibid, 47; Ibid, 42. 6. Ibid, 53; J.N. Westwood, Russia Against Japan, 1904-05. 1986, (New York: State University of New York Press), 1. 8. Papastratigakis, Russian Imperialism and Naval Power, Military Strategy and the Build-up to the Russo-Japanese War, 53. 9. Westwood, Russia Against Japan, 1904-05. 29. 11. Andrew Gordon, The Rules of the Game, 2012, (Annapolis, MD, US Naval Institute Press). 12. Richard Connaughton, The War of the Rising Sun and the Tumbling Bear, 1991, (New York: Routledge, Chapman, and Hall, Inc.) 30. 14. Westwood, Russia Against Japan, 1904-05, 37. 15. Connaughton, The War of the Rising Sun and the Tumbling Bear, 30. 16. Connaughton, The War of the Rising Sun and the Tumbling Bear, 117. 17. Ibid; “Concept of operations” should be understood as the overall strategic or operational objective. 19. Westwood, Russia Against Japan, 1904-05, 46. 20. Connaughton, The War of the Rising Sun and the Tumbling Bear, 38. 21. Frederic William Unger, The Authentic History of the War between Russia and Japan, 1904, (Philadelphia: World Bible House), 345. 22. Connaughton, The War of the Rising Sun and the Tumbling Bear, 31. 23. Connaughton,The War of the Rising Sun and the Tumbling Bear, 32. 24. Unger, The Authentic History of the War between Russia and Japan, 344. 25. Westwood, Russia Against Japan, 1904-05, 80. 31. Unger, The Authentic History of the War between Russia and Japan, 391; “Japanese Win Naval Battle in Corean Strait,” Chicago Tribune, August 14, 1904, Pg. 1, Accessed via ProQuest Historical Newspapers; Connaughton, The War of the Rising Sun and the Tumbling Bear, 172. 32. Connaughton, The War of the Rising Sun and the Tumbling Bear, 171. 35. Connaughton, The War of the Rising Sun and the Tumbling Bear, 172. 36. Westwood, Russia Against Japan, 1904-05, 83. 37. Westwood, Russia Against Japan, 1904-05, 85; Connaughton, The War of the Rising Sun and the Tumbling Bear, 173. 38. “Japanese Win Naval Battle in Corean Strait,” Chicago Tribune, August 14, 1904, Pg 1. 39. Connaughton, The War of the Rising Sun and the Tumbling Bear, 174. 40. Westwood, Russia Against Japan, 1904-05, 86. 41. Westwood, Russia Against Japan, 1904-05, 86; Connaughton, The War of the Rising Sun and the Tumbling Bear, 174. 42. Connaughton, The War of the Rising Sun and the Tumbling Bear, 174. 43. Westwood, Russia Against Japan, 1904-05, 86. 44. Westwood, Russia Against Japan, 1904-05, 138. 45. Connaughton, The War of the Rising Sun and the Tumbling Bear, 266. Chicago Tribune (Chicago, IL). “Japanese Win Naval Battle in Corean Strait.” August 14, 1904. https://search-proquest-com.libproxy.furman.edu/docview/173171585/7CB7EBC23EDC4AE5PQ/13?accountid=11012. Connaughton, Richard. The War of the Rising Sun and Tumbling Bear. 2nd ed. New York, NY: Routledge, 1991. Gordon, Andrew. The Rules of the Game. Annapolis, MD: US Naval Institute Press, 2012. Koda, Yoji. 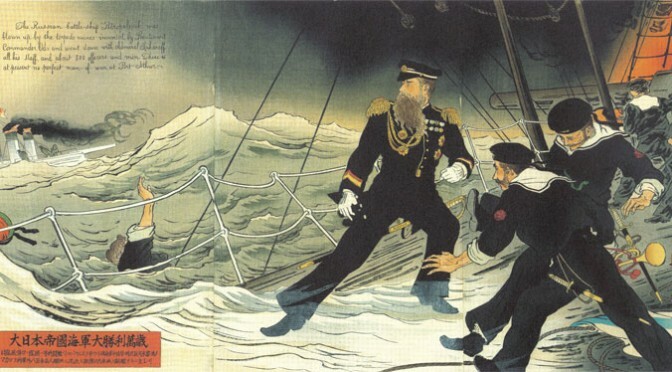 “The Russo-Japanese War—Primary Causes of Japanese Success.” Naval War College Review 58, no. 2. Papastratigakis, Nicholas Papastratigakis. 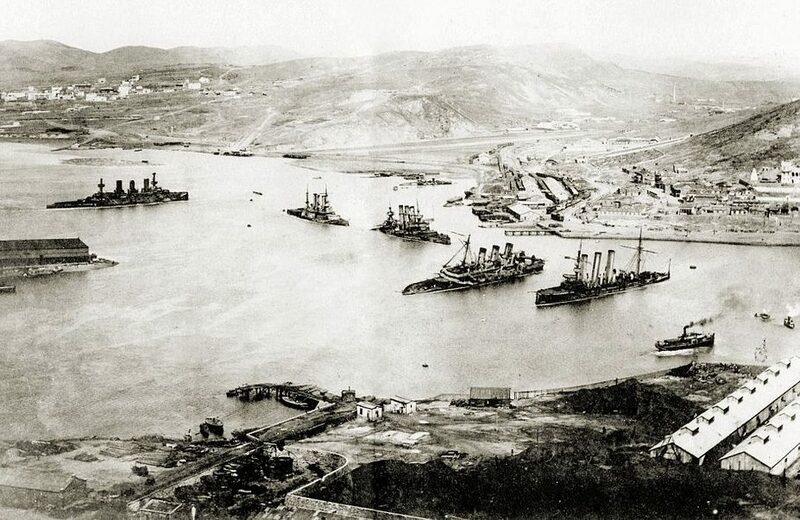 Russian Imperialism and Naval Power, Military Strategy and the Build-up to the Russo-Japanese War. New York, NY: I.B. Tauris, 2011. Stone, David R. A Military History of Russia. Westport, CT: Praeger Security International, 2006. Unger, Frederic William. The Authentic History of the War between Russia and Japan. Edited by Charles Morris. Philidelphia, PA: World Bible House, 1904. Westwood, J.N. Russia against Japan, 1904-05. New York, NY: State University of New York Press, 1986. The fleet reflected the empire it served. The centuries-old dynasty that expanded its rule with an iron fist continually fell back on its own hubris, believing its decisions like a cloak of Catholic papal infallibility and that its enemies were incapable of mounting any serious challenge. The Romanov dynasty, and its courtiers, ignored the factors that enabled their primacy, unable to foresee their own demise within a decade; and it was with this aura of invincibility that the Baltic Fleet was ordered on its months-long journey to the Far East. But that aura wore off quickly and gave way to the relentless cold, penetrating rain as the fleet got underway, foreshadowing the hail of Japanese shells that would ultimately devastate them. 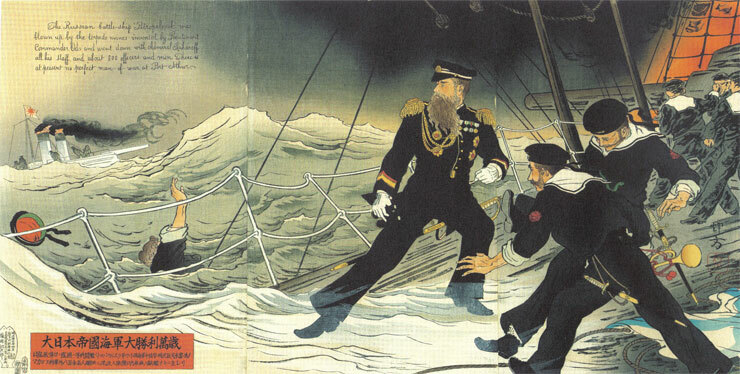 As one Russian officer wrote a year later, “surely this was no day to inspire hope in the hopeless…and a hopeless band it was.” (White, p. 597) The eventual battle in the straits of Tsushima, as with earlier engagements between the two powers during the Russo-Japanese War, reflected the works of Admiral Stepan Makarov. Japanese adoption of his concepts led to its victory; Russian rejection led to its defeat. Russia failed to prepare for war. It neglected to provide appropriate maintenance of its fleet, provision its ships, or appropriately train and educate its personnel. Russia had the opportunity to comply with their top theorist but failed to do so. Admiral Stepan O. Makarov (or Makaroff prior to 1918), was widely published on naval theories as well as a practitioner. Makarov, who had graduated first in his military class, published his first article at the age of 19 in Morskoy Sbornick, the Russian version of Naval Institute’s Proceedings. He eventually published over fifty books, articles and major papers. He was an early proponent of wireless communication between ships – which was later used by the Japanese instead of the Russian Navy. With the advent of torpedoes, he designed torpedo boats as well as torpedo boat tactics for the Russo-Turkish War. In studying the Battle of Santiago, Makarov again noted the importance of morale since the Americans were confident in artillery and sought combat; the Spanish, by contrast, “came out of Santiago with the absolute certainty of meeting the disaster that awaited them.” While in Port Arthur under attack, Makarov personally took command of the Novik and left the safety of the harbor to render assistance to another ship, displaying the boldness that resulted in Nelsonian loyalty throughout the Russian fleet. He wrote that “the maintenance of proper spirit on shipboard is a matter of the highest importance.” (Makarov, Tactics, p. 45) Such was clearly not the case when the Baltic Fleet got underway there “nothing but toil discomfort, anxiety” (White, p. 597) and later learned of the Asian Fleet’s fate, having weeks more to contemplate what awaited them. The third tenet was the use of ordnance. His statement that “firing without aiming is the best way to lose” was simplistic, but given the Baltic Fleet’s experience at Dogger Bank and Tsushima, the Russians would have been better served by targeting and improving their hit ratios. In Proceedings, Bradley A. Fiske assessed as a Commander and Inspector of Ordnance that the Japanese fleet’s handling was better; Japanese gunnery was better, and they were better prepared in war.” The Russians, due largely to nervousness and inexperience, were opening fire at 10,000 yards or more, which was too far to be effective, and many shells were simply defective. The Japanese, by contrast, reserved fire until they were within 6,000 yards until they closed to 3,000 yards. One Russian executive officer who survived the battle noted that the “principal cause of our defeat was our technical proficiency”. The fourth tenet was the use of torpedoes, on which Makarov was one of the experts among all nations. From the advent of torpedoes as a new technology, to the design of torpedo boats, to the development of tactics, to the introduction of an entirely new type of warfare, Makarov was arguably without peer. In this, the Japanese were superior to the Russians during the conflict, inflicting heavy damage or deterring ships as a result. The fifth tenet was “preparation for war.” His motto was “Remember War” – as if war were always imminent. Makarov arrived in Port Arthur in early March 1904. According to one of his officers, the “efficiency of the fleet was improved and [his] personality and drive inspired everyone under his command.” The Russian directive for Makarov’s forces at Port Arthur was simple: “Hold until reinforced.” The expectation was that the Far East Fleet should remain at anchor in the protection of the harbor. Makarov disagreed and ordered his ships to get underway as often as possible, often engaging Japanese forces. Had Russia adopted this tenet, the Baltic Fleet might have fared better at Tsushima. Makarov wrote that “Nelson understood how to maintain the health of his crew during long sea cruises,” a factor ignored by the Russian admiralty. Another issue was that the Baltic Fleet took mostly coal for its long voyage and not enough ammunition. Finally, he supported the concept of the fleet working with ground forces to achieve victory (Makarov, Tactics, p. xxvi). The Russian land and naval forces had little coordination, with the exception of the one month Makarov was in Port Arthur. More adept at this type of joint operation was the Japanese Navy, Makarov’s influence and effectiveness were, however, mitigated by political and personal realities. First, some of his work wasn’t entirely original. In his Discussion of Questions in Naval Tactics, Makarov’s delves deep into Clausewitz, Jomini, Nelson, Napoleon and Russia’s own Geenral Dragomirow. With regard to his own theories, some turned out to be outdated within years of his death. In his major work, for example, he devoted an entire chapter on the design and tactical use of ram ships, which some might suggest outlived their use with the Battle of Actium. But the 19th century was no stranger to ram ships. In 1835, Captain James Barron designed a tri-hulled, steam-driven paddle-wheel ram ship. Charles Ellet, Jr.’s ram ships found moderate success during the U.S. Civil War. Ramming was employed at the Battle of Lissa during the Austro-Italian War. Prow-configured capital ships for potential ramming continued to be incorporated into U.S. designs, such as with the USS Olympia. Makarov also failed to successfully employ some of his own maxims. One was that one must risk to win battles. Another, as previously noted, was to illuminate harbors and employ reconnaissance boats. Ironically, a month after taking command at Port Arthur, he was advised that something was seen in searchlights outside the harbor. Believing it to be one of his own boats, he went to sleep. The following morning he risked all by getting underway; his ship soon hit a mine and Makarov was killed. Makarov failed to gain sufficient support from his own government or fellow senior officers. Makarov was also at odds with the local Viceroy, Admiral Yevgeny Alexeiev, because he believed “politics and military matters did not mix,” a fatal flaw in someone who hoped his concepts would be implemented doctrinally. Tsar Nicholas II did not consider the Navy a priority, given Russia’s land-mass and need for a large standing army, until the waning months of the war. Makarov, Stepan O., Discussion of Questions in Naval Tactics. Podsoblyaev, Evgenii F. (translated by King, Francis and Biggart, John), The Russian Naval General Staff and the Evolution of Naval Policy, 1905-1914. The Journal of Military History 66 (January 2002): 37-70. ARTICLES from: United States Naval Institute Proceedings.